Brown beef or turkey over medium heat. Add taco seasoning and follow directions on package for preparation then set aside and let cool. 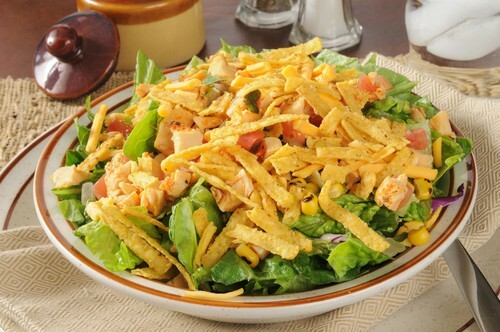 In a large bowl combine beef or turkey, lettuce, tomato, onion, black beans and cheese. Mix, cover & chill for at least an hour. Right before serving, add Jimmy's 1000 Island Dressing and fritos. Toss until coated and serve.